* The Pac-12 Hotline newsletter is published each Monday-Wednesday-Friday during the college sports season (and twice-a-week in the summer). This edition, from April 1, has been made available in archived form … Counting NCAA cash: A two-year slump The Final Four is set, which means the NCAA Tournament money is set: Units are awarded for participation through the semifinals — the championship game isn’t included in the cash calculation. For that reason, we have the final totals for each conference. Two assumptions: • Each Power Six splits the money evenly among all members. • Each unit earned this month will be worth approximately $1.8 million over the six-year payout window. Big TenTotal units: 21Value of units: $37.8 millionPer-school split: $2.7 million ACCTotal units: 20Value of units: $36 millionPer-school split: $2.4 million SECTotal units: 19Value of units: $34.2 millionPer-school split: $2.4 million Big 12Total units: 13Value of units: $23.4 millionPer-school split: $2.3 million Pac-12Total units: 7Value of units: $12.6 millionPer-school split: $1.05 million Big EastTotal units: 5Value of units: $9 millionPer-school split: $900,000 As noted, the payout cycle consists of a rolling six-year period on a delayed basis. 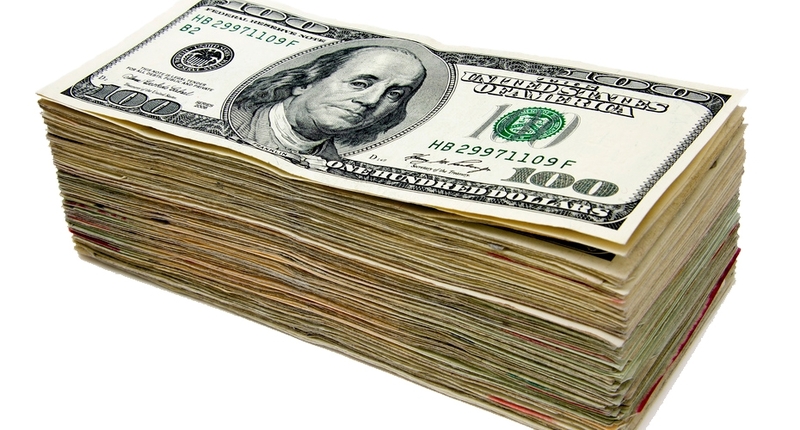 In the spring of 2020, the NCAA will distribute the cash earned by each conference from 2014-19. The Pac-12 will have two poor years within that period: 2014: 132015: 122016: 112017: 142018: 32019: 7 If we use 13 units as a reasonable single-year benchmark, then the slump in 2018-19 translates to a shortcoming of 16 units (10 earned instead of 26). That’s a conference-wide shortfall of at least $25 million, which translates to more than $2 million per school over the period in which both ’18 and ’19 are included. Oh, and it’s not vanishing into the ether; it’s going into the pockets of the Pac-12’s competition. — Jon Wilner *** Sign-up here for a free subscription to the Hotline newsletter. Thanks for your support. Hot off the Hotline • Cal planned to bring Wyking Jones back for Year Three, changed course, then in less than one week hired unemployed former Georgia coach Mark Fox. Flawed searched don’t always result in bad hires. As I wrote Friday, the Bears better hope this is one of those instances. 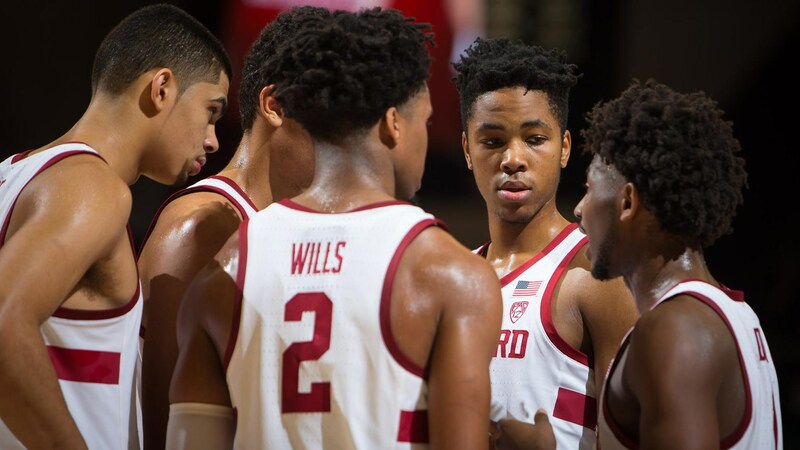 • We passed on the ‘Saturday Night Five’ column and instead published a Monday morning overview of Pac-12 basketball that addressed the contrasting fortunes of the men’s and women’s teams. The former is struggling, the latter thriving — and the Pac-12 Networks have something to do with it. • ICYMI: The Friday newsletter attempted to clean up loose ends on the eye-popping report that the Pac-12 turned down an offer from ESPN to take control of the Pac-12 Networks distribution and extend the Tier 1 rights into the 2030s. Previous editions of the newsletter are available in archived form using the following hashtag:https://www.mercurynews.com/tag/pac-12-hotline-newsletter/ Why we need your support: Like so many other providers of local journalism across the country, the Hotline’s parent website, mercurynews.com, recently moved to a subscription model. A few Hotline stories will remain free each month (as will this newsletter), but for access to all content, you’ll need to subscribe at a rate of just 12 cents per day for 12 months. And thanks for your loyalty. Draft Developments • Washington guard Jaylen Nowell announced Sunday (via Instagram and Twitter) that he would enter the NBA Draft. The conference player of the year is hardly a lock for the first round and has until late May to return to school for what would be his junior season. • Meanwhile, Washington State freshman CJ Elleby has declared for the draft — yes, CJ Elleby — but is very much leaving his options open. Elleby isn’t considered a second-round pick at this point, much less a first-round candidate. But the evaluation process is a tool for prospects, and he’s using it. Key Dates (All times Pacific) April 3: Washington starts spring practiceApril 6: USC’s spring game (11 a.m., Pac-12 Networks)April 6-8: Final Four (Minneapolis)April 13: Utah’s spring game (10 a.m., Pac-12 Networks)April 13: Stanford’s spring game (1 p.m., Pac-12 Networks)April 13: Arizona’s spring game (5 p.m., Pac-12 Networks)April 21: NBA Draft declaration deadline In the News • DeMarco Murray raised the profle of Arizona’s coaching staff the moment he agreed to oversee the running backs. The former NFL Offensive Player of the Year recently met with the media and discussed his move to the sideline, his relationship with Kevin Sumlin and more. • An interesting development in USC’s quarterback competition: If you haven’t heard of Kedon Slovis, it’s understandable, but he’s making a serious impression. • Utah held its first scrimmage of the spring, and quarterback Tyler Huntley was efficient. Healthy, and efficient. • Former Cal quarterback Ross Bowers, who went from starter to third string with remarkable speed, is headed to Northern Illinois. • We know how much Arizona spent investigating allegations of sexual harassment by former coach Rich Rodriguez ($137,000), but we still don’t know exactly what he did. Recruiting Trail • The No. 2 ranked cornerback in the class of 2020, Kelee Ringo, is from Scottsdale. Rivals analysts Mike Farrell and Adam Gorney discuss Ringo’s upcoming decision. His top schools are Texas, Georgia and Ohio State, which isn’t a good sign for the Pac-12. Not good at all. On the Hardwood • Mark Fox “seems like a safe hire, hardly bold or daring,” writes Jeff Faraudo at CalBearsMaven. “Fox’s resume is solid, but will he be able to reassemble Cal’s crumbling program and engage a fanbase that mostly lost interest as the Bears went 16-47 the past two seasons?” • Colorado is “upgrading (its) schedule significantly,” coach Tad Boyle said. No reason not to: The Buffs have all their key players back and should contend for the conference title. • Also in Boulder: The offseason begins in eventful fashion for McKinley Wright. He’s due for shoulder surgery, and (understandably) nervous about it. • UCLA not only lost Kris Wilkes but associate coach Duane Broussard, who’s bound for TCU. Money Matters • Significant news in the naming rights space, as United Airlines on Friday offered to nullify the $69 million Coliseum deal with USC. The plan has encountered backlash given the venerable stadium’s status as a war memorial. “However the naming rights deals dispute is resolved,” writes the L.A. Times’ Arash Markazi, “this issue should force everyone involved to do more to make the sure the stadium is an actual living memorial to all who served in the U.S. Armed Forces, which was the original intent.” (Psst: The best ideas always come from sportswriters.) Medal Stand A section devoted to content on Pac-12 Olympic sports. • Oregon is headed to the Final Four after beating No. 1 seed Mississippi State (which had to play in Portland). No surprise who led the way for the Ducks. • Stanford has quite the rivalry with Notre Dame. They square off this evening with the Final Four at stake. • The top freshman basketball player in the conference is on the move: Dre’Una Edwards is looking to leave Utah. (‘There is a fifth dimension beyond that which is known to man. It is a dimension as vast as space and as timeless as infinity. It is the middle ground between light and shadow’ — it’s an area we call … the transfer portal.) • ASU swept Arizona on the (baseball) diamond for the first time in a decade. [related_articles location=”left” show_article_date=”false” article_type=”curated” curated_ids=”5955230,5960769,5945727″] Looking Ahead What’s coming on the Pac-12 Hotline: • The Hotline’s new football recruiting column, on hiatus during the NCAAs, returns this week. Our topic: Oregon coach Mario Cristobal, who has brought an SEC level of fervor to the west coast. • One year ago, the Pac-12 Networks revamped their strategy for engagement, smartly increasing their focus on football. How did it turn out? We’ll take a look. The next newsletter is scheduled for Wednesday. Like it? Please forward this email to friends (sign up here). If you don’t, or have other feedback, let me know: pac12hotline@bayareanewsgroup.com. *** Follow me on Twitter: @WilnerHotline *** Pac-12 Hotline is not endorsed or sponsored by the Pac-12 Conference, and the views expressed herein do not necessarily reflect the views of the Conference. * The Pac-12 Hotline newsletter is published each Monday-Wednesday-Friday during the college sports season (and twice-a-week in the summer). This edition, from March 20, has been made available in archived form … The Big Units Before the first Pac-12 game of the NCAA Tournament tips off this evening (Arizona State vs. St. John’s), let’s address the scoreboard that matters most to the nine teams not involved in March Madness. That would be the NCAA units, of course. The tournament accounts for the vast majority of the NCAA’s annual revenue, most of which is passed along to the schools through a series of funds. Tops on that list is the basketball fund. Each conference is paid from the basketball fund for the number of games played — quantity of teams and quality of performance are both rewarded. Every game, including the First Four but excluding the championship, equals one NCAA unit. The units are held by the conference for six years and increase in value by about three percent annually. Let’s use ASU as the example. Simply by playing today, the Sun Devils earned one unit for the Pac-12 worth approximately $283,000 next year, then $292,000 the following year, and so on. Over time, the value of one unit earned this month will be approximately $1.8 million, which is then split evenly among the schools. Even if the Pac-12 pulls another oh-fer, the three games played translate to three units at $1.8 million each over time. That’s $5.4 million — or approximately $450,000 per school. Going forward, the math is simple: Every game played by ASU, Oregon or Washington is worth about $150,000 to your favorite team’s athletic department over the next six years. Sure, that’s less then a pittance compared to dollars collected via the ESPN and Fox contracts, but it’s important nonetheless. The $150,000 could pay a year’s salary for a dietician for the football program. It could pay for two non-conference home basketball games against lower-tier opponents. It could be the icing on the contract that convinces a prized offensive or defensive coordinator to reject another team’s job offer. In other words: The front end of a one-and-one in the final minute of a close game? It matters … for everybody. — Jon Wilner *** Sign-up here for a free subscription to the Hotline newsletter. Thanks for your support. Hot off the Hotline • There is famine-to-feast historical precedent for Virginia, which lost in the first round last year as a No. 1 seed but is a Final Four contender this March. That, plus my best bets for the round-of-64 are right here. • Looking for a deep dive into the matchups for the Sun Devils, Huskies and Ducks? Hotline columnist Brian Bennett has the nitty-gritty. • ICYMI: The Monday edition of the newsletter featured my picks for the NCAAs — all 67 winners for your back account. (OK, 66 winners. I picked Prairie View.) Previous editions of the newsletter are available in archived form using the following hashtag:https://www.mercurynews.com/tag/pac-12-hotline-newsletter/ Why we need your support: Like so many other providers of local journalism across the country, the Hotline’s parent website, mercurynews.com, recently moved to a subscription model. A few Hotline stories will remain free each month (as will this newsletter), but for access to all content, you’ll need to subscribe at a rate of just 12 cents per day for 12 months. And thanks for your loyalty. Key Dates March 20: Arizona State vs. St. John’s (6:10 p.m.,truTV)March 21: Washington State opens spring practiceMarch 22: Oregon vs. Wisconsin (1:30 p.m., TBS)March 22: Washington vs. Utah State (3:30 p.m., TNT)April 6-8: Final Four (Minneapolis) Dance Floor • Arizona State opens NCAA play this evening in Dayton seeking its first tournament victory since 2009. Point guard Remy Martin suffered a groin injury in the Pac-12 tournament but is expected to play. (Yes, that’s a photo of Lu Dort. He’s important, too.) • Washington needs its stars to rise to the occasion this weekend. If they don’t, the Huskies could be home by Saturday. “Carmelo became Carmelo because we went to the national championship and won,” UW coach Mike Hopkins recalled of the Syracuse run in 2003. • Dana Altman on Oregon’s late-season turnaround: “In the 39 years I’ve been lucky enough to do this, I’ve never seen a team make as drastic of a change in a three- or four-week period.” • The NCAA Tournament has a rich history in the Bay Area, writes Jeff Faraudo of CalBearsMaven. • And if you’re headed to San Jose for the first and second rounds — that means you, Ducks fans — here’s a handy guide to restaurants, attractions and excursions. Media Landscape • Fascinating look at Apple’s look at sports, courtesy of Sports Illustrated media reporter Jacob Feldman. Key takeaway: “The company has reportedly budgeted $1 billion for original content, including a deal with Kevin Durant’s production company for a basketball drama. But don’t expect the tech giant to venture into live broadcasts. Asked how much he’s thinking about competing against Facebook and Amazon (both of which have begun airing games) with exclusive rights, Apple senior vice president for Internet software and services Eddy Cue says, ‘Not a lot, honestly.’” In the news (Note: The Hotline newsletter includes links to sites that could require a subscription once the number of free views has been reached.) • Washington State’s quarterback competition has been reduced by one: Connor Neville is transferring. Also, we missed this from last week: quarterback Gage Gubrud, the Eastern Washington transfer, might miss spring practice with a lower body injury. At least for the time being, the Cougars aren’t quite so flush with QB options. • Andy Avalos’ reconstruction of the Oregon defense continues with the installation of a four-man front for a 3-4 scheme. Wait, what? • Mustafa Johnson, anchor of the Colorado defensive line, is adjusting to the new terminology under coach Mel Tucker and defensive coordinator Tyson Summers. “I’ve been struggling a little bit with the plays but I know a lot of other guys are picking it up real fast.” • Utah’s senior class was huge (and one of the reasons the Utes won the South). Now it’s gone. What gives with who’s gone? • UCLA’s Pro Day lacked star power, which helps explain what happened to the Bruins from September through November. • The Pac-12 has one representative on Yahoo’s list of the most impactful quarterback transfers. Not difficult to guess his identity. Wore red, now purple. On the basketball front: • Colorado won its opening round game in the NIT and will face Alabama or Norfolk State next. Every game will make the young Buffs that much better prepared for next season. • The Pac-12 tournament final on ESPN drew a vastly larger audience than last year’s version on FS1. Transfer Wire • Not specific to the Pac-12 but potentially significant to all of college football: The NCAA granted Ohio State transfer quarterback Tate Martell immediate eligibility at Miami even though (lack of) playing time was at the heart of Martell’s case. If you thought the transfer market has been wild to this point, wait for the coming anarchy, writes 247sports’ Chris Hummer: “Martell, in his desire for immediate eligibility, will open the floodgates for a similar number of waivers. It could also spark NCAA policy change after this case sets a precedent that shakes the college football landscape.” Halls of Academia • How were students with fake profiles admitted to USC as preferred walk-ons to the football team without the football team realizing it? The L.A. Times’ J. Brady McCollough spokes to two former recruiting coordinators for a behind-the-scenes look. Disgraced former associate athletic director Donna Heinel “certainly had the ability to say, ‘Look, coach Helton really needs this guy.’ She could push a little harder for the kids she knew were a priority.” • Meanwhile, interim president Wanda Austin says the university will conduct a “complete investigation around athletics” that will include a review of Lynn Swann’s job performance, per Annenberg Media. (Thanks to D1.ticker for the alert.) Medal Stand A section devoted to content on Pac-12 Olympic sports. • The data-driven website fivethirtyeight.com offered up its preview of the NCAA women’s tournament, complete with a breakdown of efficiency ratings. • Oregon is the No. 2 seed in the Portland regional and could reach the Final Four without leaving the state. • In the Bay Area, Stanford’s staying put while Cal’s hitting the road. • Picks from ESPN’s experts. (Two of them like the Ducks for the Final Four.) • The Pac-12 women’s gymnastics championships are headed to Utah this weekend — Utah the state, not the school. It’s a ‘neutral’ location. • Arizona centerfielder Matt Frazier, who’s hitting .412, is out with a broken hand. Timeframe for his return: unknown. • Washington rower Andrew Gaard has “farmer’s strength,” which helps him three despite being undersized (at 6-foot-2). Looking Ahead [related_articles location=”left” show_article_date=”false” article_type=”curated” curated_ids=”5936147,5925168,5918567″] What’s coming on the Pac-12 Hotline: • SEC basketball has improved dramatically in the past few years. Are there lessons from the turnaround that could be applied to the Pac-12? The next newsletter is scheduled for Friday. Like it? Please forward this email to friends (sign up here). If you don’t, or have other feedback, let me know: pac12hotline@bayareanewsgroup.com. *** Follow me on Twitter: @WilnerHotline *** Pac-12 Hotline is not endorsed or sponsored by the Pac-12 Conference, and the views expressed herein do not necessarily reflect the views of the Conference. * The Pac-12 Hotline newsletter is published each Monday-Wednesday-Friday during the college sports season (and twice-a-week in the summer). This edition, from March 27, has been made available in archived form … ESPN’s offer swatted away Adrift for years in deep water, the Pac-12 Networks had a lifeline: According to a report by John Ourand and Michael Smith in the SportsBusiness Journal, no less a savior than ESPN swooped in last fall with an offer to take over distribution of the networks. The proposal called for a lengthy rights contract between the Pac-12 and ESPN (into the 2030s) but would have provided the networks with long-sought carriage on DirecTV. And the Pac-12 said thanks … but no. Yep, commissioner Larry Scott and the presidents/chancellors rejected ESPN’s offer and doubled … no, tripled-down on the same strategy that created the problems in the first place. And they were right. Tempting as the ESPN offer seems, it was the wrong move for the networks at this point in their life cycle. One could make a highly-credible case that Scott’s original business model — with the conference retaining 100 percent ownership in a media company with supply (six regional networks, 850 live events) that far overestimated demand — was a major strategic blunder that has severely hindered the schools on two fronts: revenue and exposure. But that doesn’t mean partnering with ESPN now was the smart move. From here — and without knowing all the details — it appears the Pac-12 had two options when ESPN came a-knocking: Option 1: Hand over distribution of the Pac-12 Networks and head into the momentous media negotiations in 2024 with limited football and men’s basketball inventory available. Option 2: Keep control of the Pac-12 Networks and saddle up to the negotiating table — discussions will begin in three or four years — with every last bit of content in the warehouse for any interested distributors. My guess is that Scott and the CEOs concluded the windfall from Option 1 (whatever ESPN was willing to provide now in additional revenue, plus the value of the Tier 1 rights in a few years) wouldn’t be as substantial as the windfall from Option 2 (everything available to the highest bidders, which could include the deep-pocketed digital media companies). And they’re probably right. The value of live sports continues to grow, and the potential for multiple bids seems high. (Of course, the better the Pac-12 performs on the field in the 18-24 months before negotiations begin, the better its prospects to hit the jackpot — and policy made by the conference office impacts performance on the field. In other words: Get the football operations side fixed, quickly.) What’s more, giving ESPN control of distribution would have removed an enticing option currently on the table — the ability to create a media-rights holding company that, in theory, could become a substantial company over time, with the rights to other sports and events, domestically and internationally. Who knows if that possibility will ever be realized, but it wouldn’t exist if the conference had giving away control of carriage agreements. Had the life line been offered five years ago, when it became clear a DirecTV deal wasn’t happening, the Pac-12 might have been wise to accept. But ESPN waited … waited until the Pac-12 seemed desperate and vulnerable. And now it’s too late. It’s too late in the current rights cycle for the conference to change course. Sell to ESPN now, and the sacrifices made by the schools in revenue and exposure would be for naught. Sell to ESPN now, and the last seven years are rendered a waste. It would have been the easy thing to do, and the wrong thing. — Jon Wilner *** Sign-up here for a free subscription to the Hotline newsletter. Thanks for your support. Hot off the Hotline • Three years ago, the SEC was where the Pac-12 is now: Three NCAA bids, one team in the Sweet 16 and negativity smothering its basketball product. At that point, commissioner Greg Sankey took decisive, dramatic steps to get better. Within the rebirth, are there lessons for the Pac-12? • Brian Bennett’s latest basketball column for the Hotline zeroed in on the coaching vacancies at UCLA, Cal and Washington State. Each program needs to make a better hire than it did the last time around. • The Hotline is 5-3 thus far against the spread. My picks for the Sweet 16 were published this morning. It should be a terrific two days, and Oregon should cover against Virginia, if not win outright. 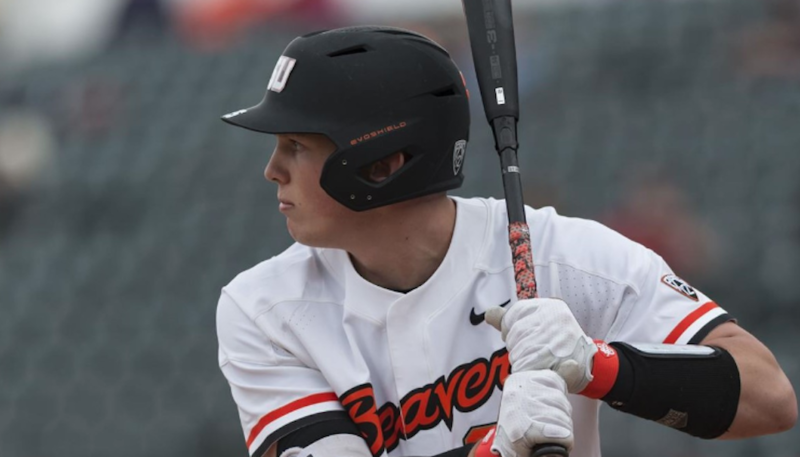 • ICYMI: The Monday newsletter provided an update on the number of NCAA units earned by each power conference thus far (every game played is worth approximately $1.8 million over time). Previous editions of the newsletter are available in archived form using the following hashtag:https://www.mercurynews.com/tag/pac-12-hotline-newsletter/ Why we need your support: Like so many other providers of local journalism across the country, the Hotline’s parent website, mercurynews.com, recently moved to a subscription model. A few Hotline stories will remain free each month (as will this newsletter), but for access to all content, you’ll need to subscribe at a rate of just 12 cents per day for 12 months. And thanks for your loyalty. Dirty Play Content on the college basketball corruption scandal. • Arizona and Oregon were among the schools caught up in the latest development, as celebrity attorney Michael Avenatti accused Nike of making cash payments to associates or family members of Bol Bol and DeAndre Ayton. Where this could lead is anyone’s guess, but 1) the NCAA is probably interested in Avenatti’s information and 2) the very last thing the Arizona program and coach Sean Miller need is more bad headlines … Oregon coach Dana Altman responded to the allegation Key Dates March 28: Oregon vs. Virginia (7 p.m., TBS)April 3: Washington starts spring practiceApril 6: USC spring game (11 a.m., Pac-12 Networks)April 6-8: Final Four (Minneapolis)April 17: basketball spring signing periodApril 21: NBA Draft declaration deadline On the Hardwood • Washington State reportedly will hire Kyle Smith, who upgraded the Columbia and USF programs and is a former assistant to highly-regarded Saint Mary’s coach Randy Bennett. Hard to argue with WSU’s plan. • Jaylen Nowell is expected to explore his NBA Draft options, according to UW coach Mike Hopkins. If Nowell doesn’t hire an agent during the pre-draft process, he would have the option to return to school. 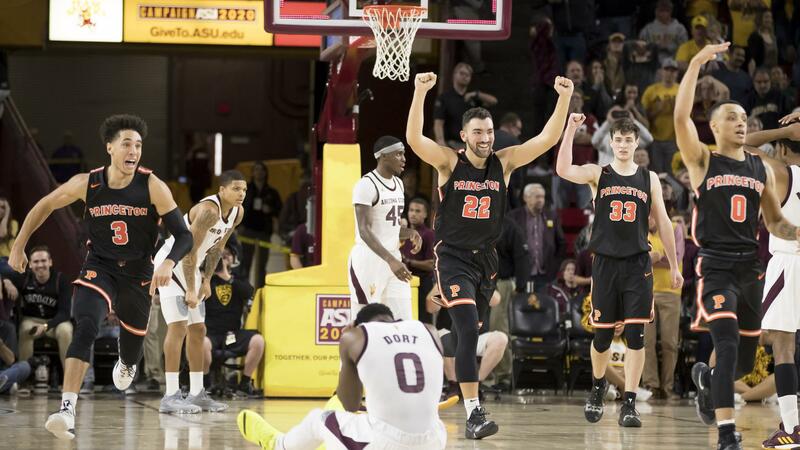 • Arizona State’s good, bad and outlook: Another NCAA appearance, so many missed opportunities, but reason for optimism. “I think people are enthusiastic about what we’re building,” coach Bobby Hurley said. • Leave it to the NIT to rekindle an old rivalry: Colorado visits Texas in the quarterfinals. • Arizona’s highly-touted recruits, Nico Mannion and Josh Green, remain committed to the Wildcats. 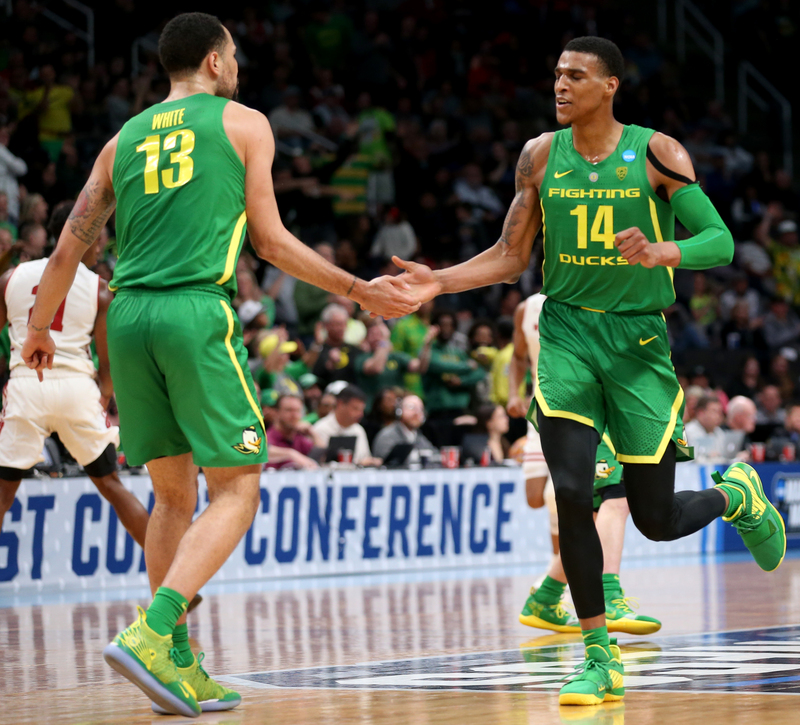 Dance Floor • Oregon got home late Sunday night from the second-round victory in San Jose, then was back on the road Tuesday for the long fight to Louisville. “We may go walk-through stuff somewhere. It is just making sure that mentally they are ready,” coach Dana Altman explained. “Physically, we don’t want to tire them out.” • A statistical comparison of Oregon and Virginia. They’re oh-so-close defensively, but the Cavs have a significant edge offensively. • In a reseed of the teams remaining by CBS Sports’ Matt Norlander, Oregon comes up … last. The reason: Poor metrics. • SportsMediaWatch digs into TV ratings for the tournament: Duke-UCF was, not surprisingly, a huge draw. Overall, ratings are up, especially when streaming viewers are included. • Every starter in the Sweet 16, ranked. Money Matters • The Associated Press produced a detailed analysis of NCAA Tournament payouts, tracing 21 years and $3 billion dollars through the funnel. The AP’s conclusion: “It all points to a long-term problem for mid-majors as power conferences stockpile wins and invites in the tournament: It takes revenue to build a program that can compete with the big boys. For those with less, it is becoming harder to generate more.” A worthwhile read on the money behind the madness. Huddle Up • This should come as no surprise to anyone who watched Utah last season, but receiver Britain Covey — as tough a player as there is in the conference — is recovering from too many injuries to count. • Call it friction, tension or simply “growing pains,” Arizona offensive coordinator Noel Mazzone hopes it’s a thing of the past with quarterback Khalil Tate. • With all the focus on USC’s quarterbacks and receivers in coordinator Graham Harrell’s spread offense, let’s not forget the system could create opportunities for the talented but underutilized running backs. • Oregon is on the hunt for reliable depth in the secondary during spring practice. At least the Ducks are set with their starters across the back line. • Eight breakout candidates for Washington this spring. (Most are on defense, where the Huskies were hit hard by attrition.) • How punters and kickers kill time at practice. Two words: trick shots. Medal Stand A section devoted to content on Pac-12 Olympic sports. • Arizona State is headed to the NCAA Tournament … in ice hockey. It’s the first appearance for the four-year-old program. • Stanford became the first team in the past 15 years to win three consecutive NCAA women’s swimming titles. [related_articles location=”left” show_article_date=”false” article_type=”curated” curated_ids=”5952031,5945727,5918567″] • Oregon no longer possesses the top women’s track and field program in the conference. USC has taken over. • Next up for UCLA in the NCAAs: UConn … And there’s plenty on the Bruins — and other Pac-12 teams — in this ESPN roundtable. Looking Ahead What’s coming on the Pac-12 Hotline: • Dana Altman wasn’t Oregon’s first choice, or its second … or third. Former athletic director Pat Kilkenny walked the Hotline through his pursuit of a head coach in 2010 as we examine the best Plan B hires in recent conference history. The next newsletter is scheduled for Friday. Like it? Please forward this email to friends (sign up here). If you don’t, or have other feedback, let me know: pac12hotline@bayareanewsgroup.com. *** Follow me on Twitter: @WilnerHotline *** Pac-12 Hotline is not endorsed or sponsored by the Pac-12 Conference, and the views expressed herein do not necessarily reflect the views of the Conference. Somehow all 12 teams in a power conference are dipping in the same season, making matters out West terribly depressing. How Much Money Do Schools Get From The NCAA Tournament? This year, the NCAA will bring in more than $1 billion from the March Madness tournament. What teams are in danger of missing the NCAA tournament? Our latest bracketology bubble watch breaks down the last four in and first four out.